Album "Pre-Orders" have been a long standing norm in the music industry to allow fans to purchase music ahead of time, guaranteeing they'll have it first on release day. In a market where streaming dominates, the equivalent of a "Pre-Order" is something that was missing. 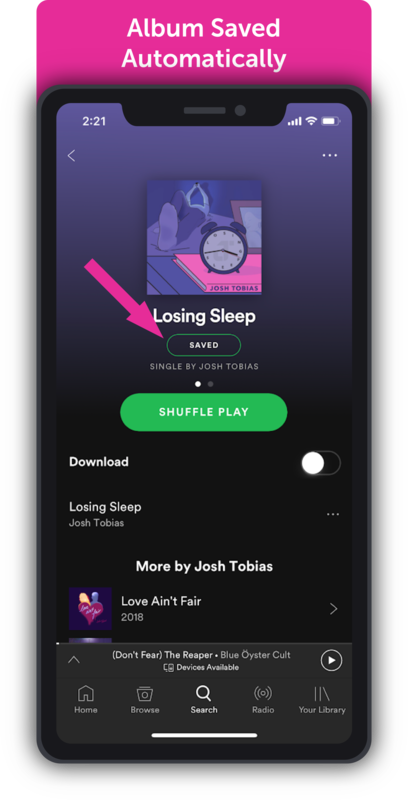 Recently, Spotify "Pre-Saves" have become a popular marketing tool that large labels use to encourage fans to save music on Spotify before it come out. 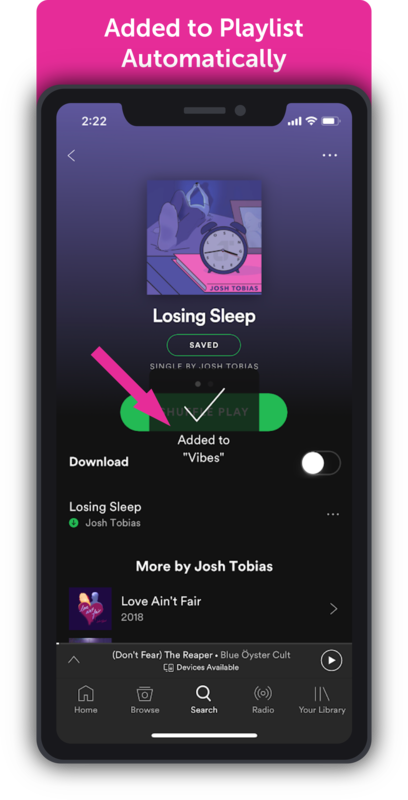 It's a brilliant tool because it is not an action that is offered directly in the Spotify App, but built by connecting to its API to support the feature. 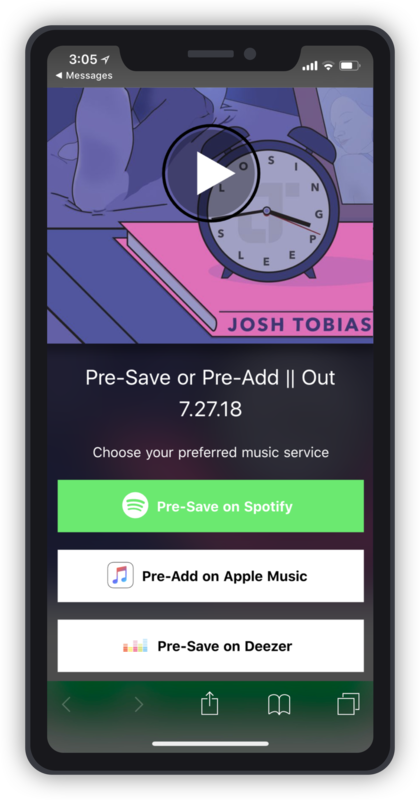 Apple Music has recently announced its own version of the "Pre-Save" called "Pre-Add", made available through the newly released MusicKit API. 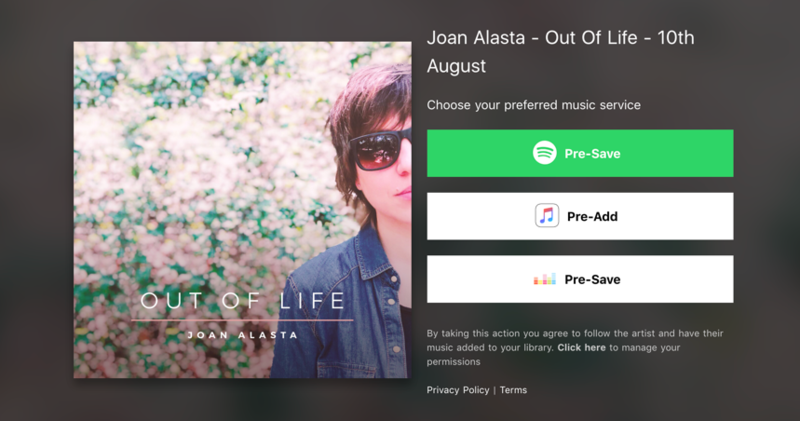 With the popularity of Pre-Saves, Feature.fm has launched its "Ultimate Pre-Save" as the only tool with Spotify, Apple Music, and Deezer in one. It boasts a simple set up process that makes it easy for any artist to create and includes advanced features that put it ahead of existing Pre-Save tools on the market. 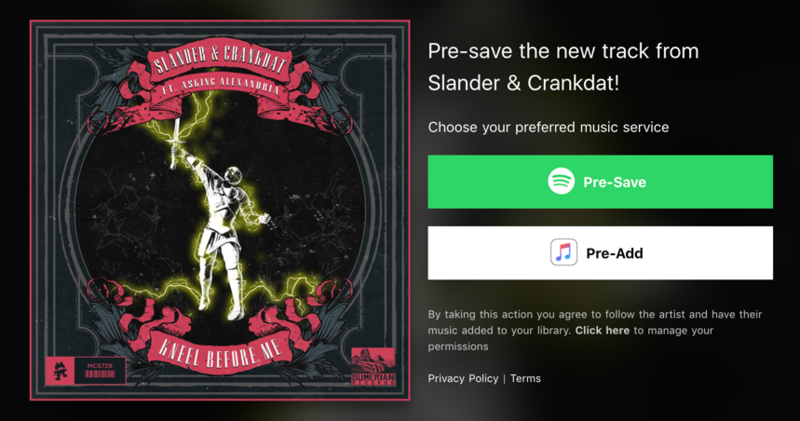 Let fans save your music on Spotify, Apple Music and Deezer before it comes out. *Pro Tip: Fans log in and connect their Apple Music, Spotify, or Deezer Accounts directly through the API. 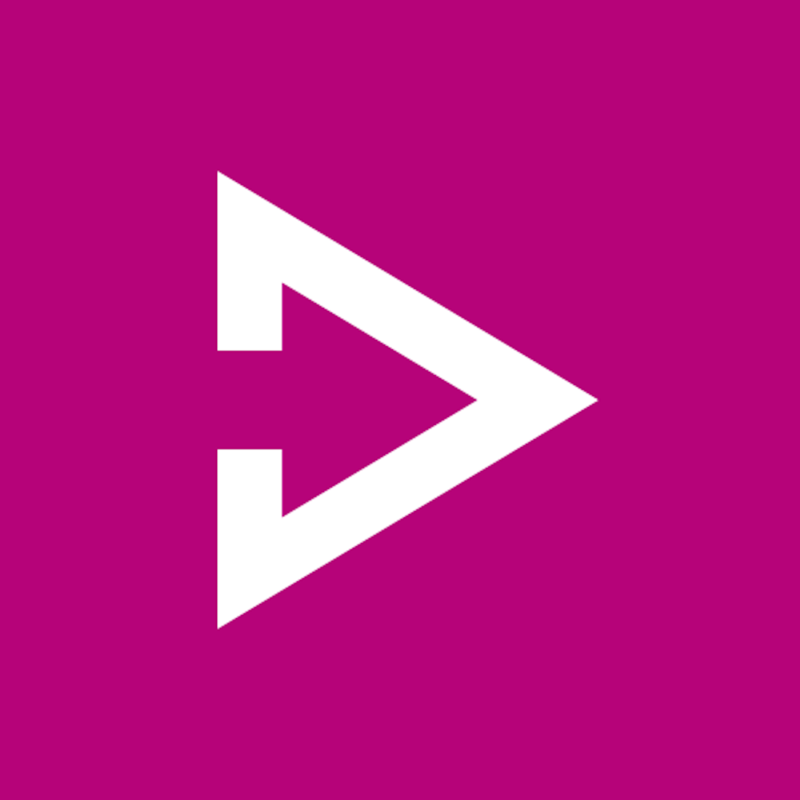 On release day, Feature.fm automatically adds your music to the libraries of everyone who pre-saved or pre-added it. If your album is already available for "pre-add" on Apple Music, then fans will get it instantly after clicking "Pre-Add." 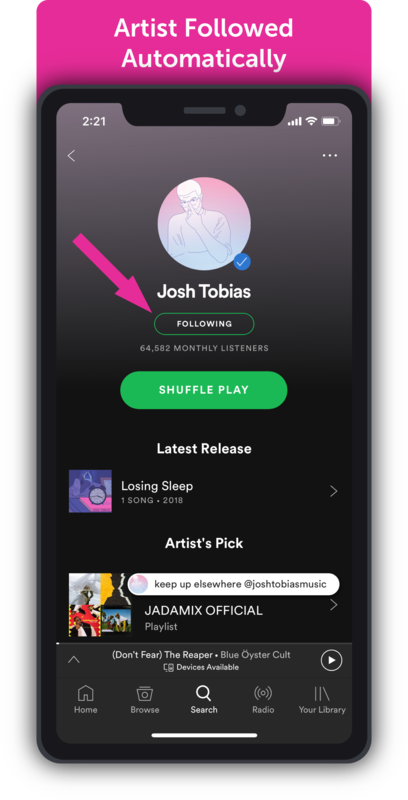 Any fans who click Pre-Save will also follow your artist profile and are encouraged to add your music to their playlists, so you can increase your streams and followers. 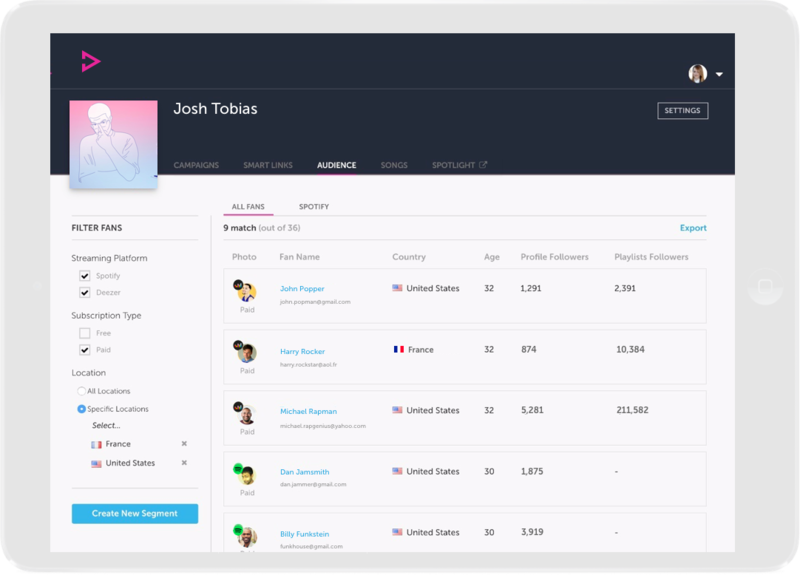 You get fan email addresses (up to 50 free) and deep insights into your audience with info like Spotify Profiles, Locations, ages, follower numbers, and more about how fans engage with your Action Pages. Feature.fm also sends remarketing data to your Facebook Ads, Google AdWords, and other ad programs. 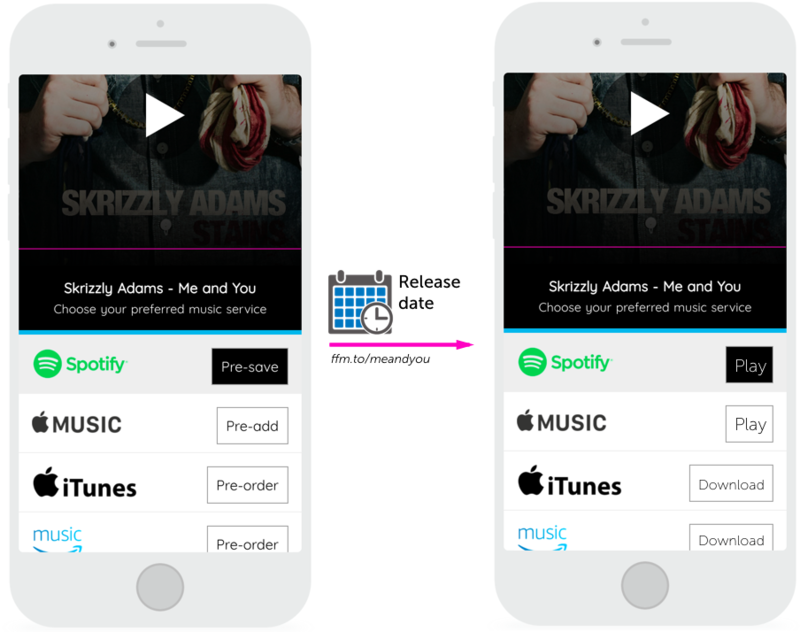 On release day, your Pre-Save link automatically converts to a standard Smart Link, changing text from “pre-save” to “Play” in order to direct fans to listen to your released music and using the same short URL. Pre-Save Pages are super simple to create. Simply log into Feature.fm and click "Create an Ultimate Pre-Save"
All Artists of any size can create Unlimited Pre-Saves with Feature.fm for free.